This delightful disc offers a selection from the wealth of piano transcriptions of Bach’s music. The Bach revival that gathered momentum during the nineteenth century created a climate for many composer-pianists to interpret his works through their own piano transcriptions, whether of chorale preludes, organ works or other instrumental music. Much of Bach’s music was made domestically available via such arrangements (and the tradition continued well into the twentieth century, even after Bach originals were well known). Indeed, the practice of such transcriptions was widely used by Bach himself, who freely adapted his own and others’ music for different instrumental settings. 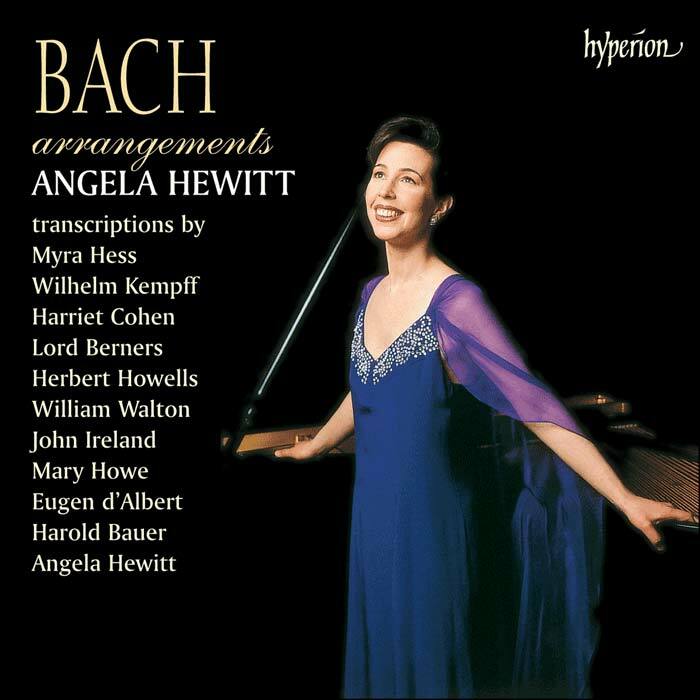 One of today’s finest Bach pianists, Angela Hewitt concentrates primarily on those arrangements of Bach that keep pianistic elaboration and virtuosity in proportion: whatever instrument his music is played on, Bach should still sound like Bach. Eugen d’Albert’s magnificent transcription of the C minor Passacaglia and Fugue for organ, BWV582, is included, as are five beautiful transcriptions by Wilhelm Kempff, and a number of arrangements by English composers that were included in A Bach Book for Harriet Cohen (a collection compiled for the pianist Harriet Cohen, who knew many English composers of the early twentieth century). Angela Hewitt also includes three transcriptions of her own. 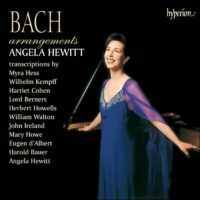 A fascinating companion to Angela Hewitt’s acclaimed Bach recordings for Hyperion, this ravishing disc will appeal to lovers of Bach as much as connoisseurs of the piano.